An early morning gathering in Winnipeg brought some eagerly anticipated news for four remote First Nation communities in Manitoba. On Nov. 16, Jane Philpott, federal minister of Indigenous Services, announced $248 million for four schools for Bunibonibee Cree Nation, God’s Lake First Nation, Manto Sipi Cree Nation, and Wasagamack First Nation. It was the largest infrastructure contracts ever awarded to First Nations in partnership with Indigenous Services Canada. In addition to the four schools, an existing school on the Bunibonibee Cree Nation will receive major renovations. “Each school has been specifically designed with the participation of community members who know exactly what they need and what the reality should look like,” Philpott said, adding “In this day of modern technology, they’ve actually used virtual reality to help design the schools so that they will know what they will look like on the inside. The schools are to open in 2020 for 2,600 students making them able to stay in their home communities from kindergarten to Grade 12. “They will not have to leave their parents, their grandparents, their aunts and uncles.. They will be able to complete their high school education surrounded by their land,” Phillpot said. Important and relevant literature written by First Nations’ writers also had a personal influence on Philpott, she said. “One of the most moving books that I’ve read in the past year is a book called “Up Ghost River” by Edmund Metatawabin, who is now a member of the Order of Canada; a great elder statesperson in this country. He describes in his book what it was like to leave home and go to St. Anne’s Residential School…. 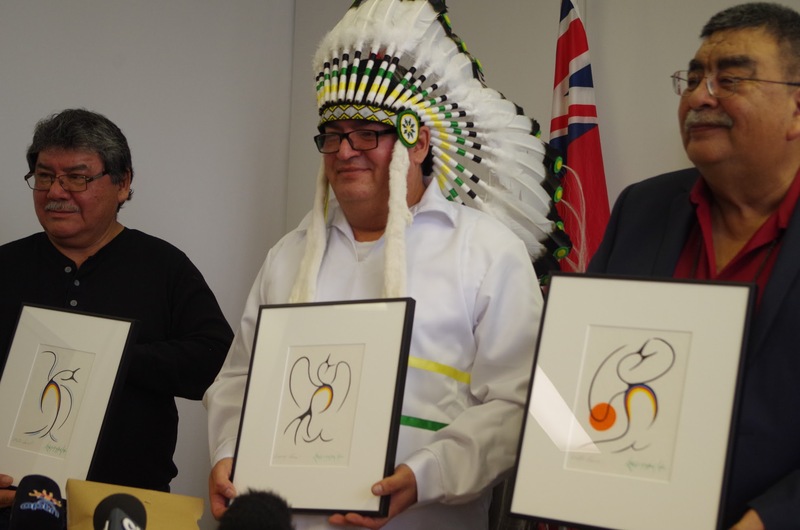 Grand Chief Dr. Arlen Dumas of the Assembly of Manitoba Chiefs said “I want to commend the minister and the (Federal) government for choosing to invest in the people of the North, the remote and isolated communities. I want to commend the chiefs for all their efforts because there’s actually a whole variety of things that are actually working in concert. Construction on all of the schools is expected to start in the spring of 2019.